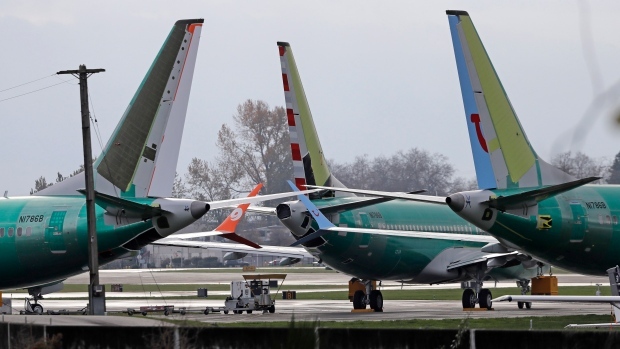 MONTREAL -- Transport Minister Marc Garneau says airlines that want to fly the Boeing 737 Max 8 in Canadian airspace must first train their pilots using a flight simulator. "Simulators are the very best way, from a training point of view, to go over exactly what could happen in a real way and to react properly to it," he said. "It's part of it -- the software fixes...and the training itself, which in my mind requires simulation time," Garneau said at an event in Montreal Wednesday. Until recently, most U.S. airlines did not require flight simulation for pilots of the Max 8, which aviation authorities across the globe grounded in the wake of the deadly Ethiopian Airlines tragedy on March 10. The Wall Street Journal reported this week that American Airlines will start to use flight simulators, a significant shift. "As a result of the continuing investigation into both aircraft accidents, we are looking at the potential for additional training opportunities in co-ordination with the (Federal Aviation Authority) and Allied Pilots Association," American Airlines said in an email Wednesday. Garneau said he feels "strongly about simulators," stressing their effectiveness and drawing on his years as an astronaut. "From our point of view, it's not going to be a question of pulling out an iPad and spending an hour on it," he added, referencing an American Airlines pilots union statement that pilots who were already qualified for Boeing 737-800s took a one-hour, iPad-based training program to fly the Max 8. Garneau closed Canadian skies to the Max 8 last month over safety concerns arising from the erratic flight path of Ethiopian Airlines Flight 302 that bore startling parallels to a fatal Lion Air crash on Oct. 29. The two flights, both on Max 8s, killed a total of 346 people, including 18 Canadians.